Let’s play six for the 6th annual TTB Beacon run! 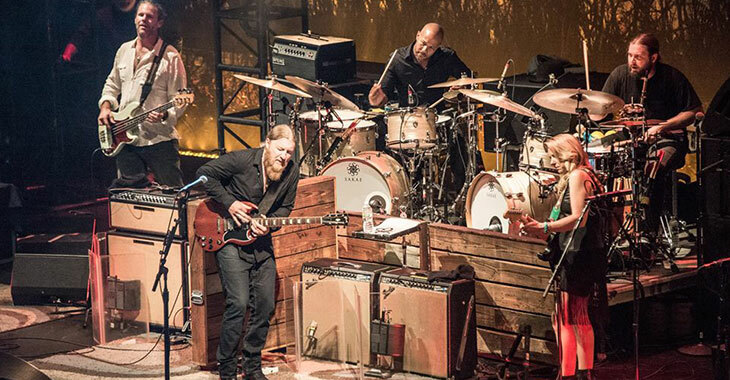 This fall Tedeschi Trucks Band continue their Beacon Theatre tradition of performing multiple-night residencies for the sixth consecutive year. This year’s run has expanded to six shows long featuring with special guest openers Amy Ray (9/30), Dave Mason (10/4), and Jorma Kaukonen (10/5). The weekend nights (10/1, 10/7, 10/8) will feature TTB performing two full sets. For our most dedicated fans, we’re also happy to announce a range of multi-night ticket packages, as well as special room rates at select hotels in the area. To browse all of the package options, click here or search “Tedeschi Trucks Band” on ticketmaster.com. Room Blocks at both hotels can be secured by requesting the “Tedeschi Trucks Band Fans” rate. Rates are valid at both hotels if rooms are booked before August 31, 2016. Rates do not include the combined NY State/City tax of 14.75% and the occupancy tax of $3.50. King studios have a king bed, a kitchenette and a marble bathroom. Double/Double studios have two double beds, a marble bathroom and kitchenette.